There are more corkscrews, loops and positive Gs in Japan than you can shake a paper fan at, so we decided it was about time we introduced you to 10 of the best roller coasters the country has to offer. We hope you had a light lunch! Starting us off is the mighty Steel Dragon 2000 in Nagashima Spa Land, the world’s longest steel roller coaster, measuring in at an incredible 2,479 meters (8,133 ft). It may no longer be the world’s fastest, but at 153 kilometers per hour (95 mph), even the Steel Dragon’s jaw-dropping length won’t take long to cover. And trust us when we say that this thing is a true monster to behold in the flesh. Built in 1988, the Bandit was once the world’s fastest roller coaster. 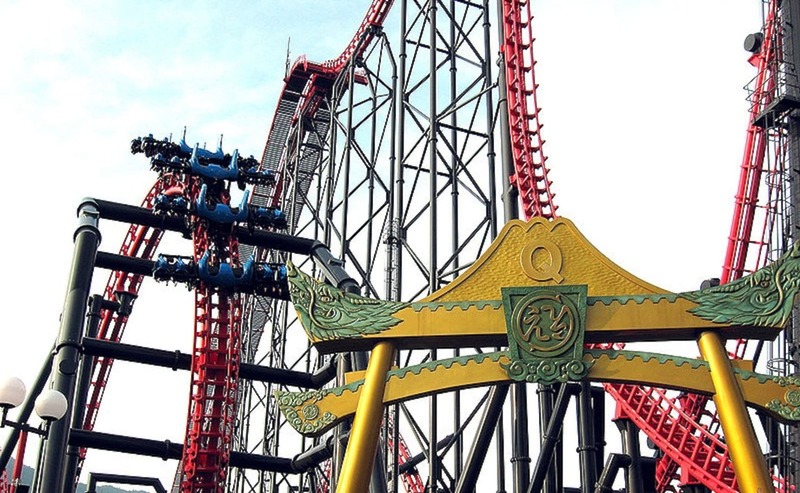 Even today, it’s a fantastic ride and guaranteed to put a smile on your face, but it’s the location in which it, and of course the entire Yomiuri Land amusement park, is set that really gives this roller coaster its unique appeal. Rather than being crammed in between other attractions or overlooked by tall buildings, Bandit zips along the treetops, the city just visible in the distance, and is both exciting and charming at once. By far one of the best “date” coasters in the country. Circling an enormous model space shuttle, the Venus GP roller coaster makes it onto our list purely because of how surprisingly intense it is, and of course because it features both a vertical loop and one of the most twisting, helix-packed tracks in Japan. And as you can see from the video, it certainly doesn’t dawdle, either! Head over to Space World’s official website for more info. This “fourth-dimension” roller coaster is located in Japan's most famous theme park, Fuji-Q Highland, and is sure to test your ability to hold onto your lunch. The term “fourth dimension” refers to the fact that, on account of its unusual structure and the roller coaster being attached to four rather than two rails, each seat can rotate a full 360 degrees while the ride is in motion. No loops in the track? No problem—your seat will flip you over plenty as you’re hurtling towards the earth at nearly 130 kilometers per hour (80 mph)! Whether the ride’s name refers to the raucous Edo-period festivals of the same name or the term “it’s all good!” in Kansai dialect, we have no idea, but this is certainly an experience to remember, with even Theme Park Review’s experienced coaster rider Robb Alvey going to pieces just a few seconds after the first drop in the above video. Nothing says old-school thrills like a wooden roller coaster, and Nagashima Spa Land‘s White Cyclone has plenty of wood to go around. At 1,700 meters (about 1 mile), this is Japan’s longest wooden roller coaster, and the third-longest in the world after The Beast (7,359 meters [4.6 miles]) and The Voyage (6,442 meters [4 miles]), which can both be found in the United States. Standing at 42 meters (138 ft) tall, though, this is not a ride to be taken lightly, and well worth the ¥1,000 (US$10) ticket fee.